I had been waiting for the refurbishment of Test Track to end for months. 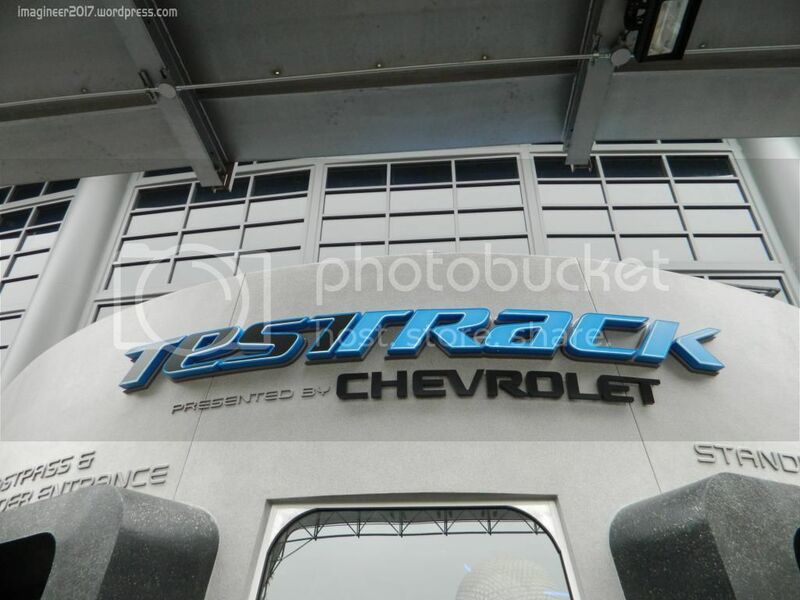 Test Track had always been one of those attractions I had to do multiple times whenever I was in Epcot. Since the attraction has gone into refurbishment, I have been missing the fun and wit of it. But, I knew that the wait would be worth it when I say the concept art. TRON-like graphics and lighting? No more road signs? This was going to be a brand new attraction. Then we saw video of the finished attraction. 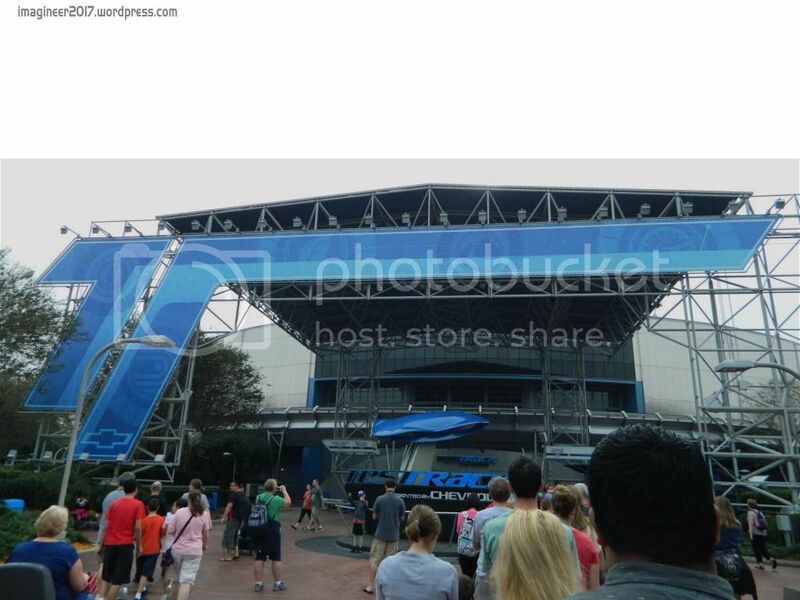 It was then that I knew this version of Test Track is exactly what Epcot has needed. I was fortune enough to take a spin (or three!) on the SimTrack(what Disney is calling the actual ride) this past Saturday. 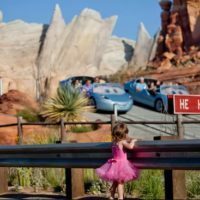 Buckle up and take a ride through my opinions and feelings toward this re-invented attraction. We arrived at the park a little after 9, and were met with a huge line for Test Track stretching all the way to Mouse Gear. The attraction wasn’t yet open, and did not open for about half hour or so. But, once the doors were open, the lines moved on fast. It was great to see everything up close now, instead of from behind the walls. The marquee is much larger than the old one, and much fancier, too! The giant ‘T’ gracing the overhang isn’t as tacky as I first claimed. In fact, it provides for some great photos. Moving in closer, the new wait time and FastPass signage look great! The digital time boards aren’t yet operational. For now, a magnetic board on the ground announces wait times. The blue color scheme all over the building is wonderful. Between it and the new theme, the windows above the main entrance stand out and fit right in (although they are covered inside). I was impressed with the new entry doors. No longer are their 3 gates- now it’s a very welcoming structure with two entrances (one for standby, one for Single Rider and FastPass). Unfortunately, this new entrance isn’t as open as it should be; they’ve added rows of switchbacks right outside. I’m sure once the hype dies down, this won’t become as common. Once inside, we’re welcomed by a Chevy Miray concept vehicle. Projections, models, and screens are everywhere. Turning the corner, we can see that this is the “Chevrolet Design Studio at Epcot,” no longer a car asylum/warehouse/testing facility. Along the wall, we can see models of vehicles designed with each of the main characteristics, Power, Capability, Responsiveness, and Efficiency, in mind. I liked the small mouse-like one meant to embody Efficiency. Next up is an expanded view of the Chevrolet ENV prototype vehicle. The ENV is a like a segway on steroids- it carries two passengers and balances on two wheels. Along the following wall are posters and 3D screens that explain what goes into designing a car- the mental and physical effort. Overall, this new queuing area is clean, sleek, bold, and peaceful. It also feels a little smaller- in a good way. The ceiling is painted dark blue, and the walls don’t go very high. Following that, we enter a circular room (probably around where the weird blue room used to be in the old queue) with a model of the Blue Blob in the middle. In it, we are treated to a video and projection show in which Chevrolet designers discuss what goes into their designs, and how everyone can design a car. Throughout the show, projection mapping technology transforms the Blue Blob into various types of cars, blueprints, children’s drawings, etc. It would appear the Blob is meant to be the mold of the Chevy Miray we passed earlier. This room really inspired me more than anything I think. The designers’ encouraging words and the reasons they cited for loving their job struck me. It makes me want to continue even further down my path of going into design. The following room splits into two lines and acts as a holding area before guests are assigned to their design stations. Giant screens on the walls tech you how to design a vehicle. Next up, you’re placed into a large room where you wait to enter the Design Studio, similar to the first pre-show room at Sum of all Thrills in Innoventions. You;ll receive your card (which is currently blank. 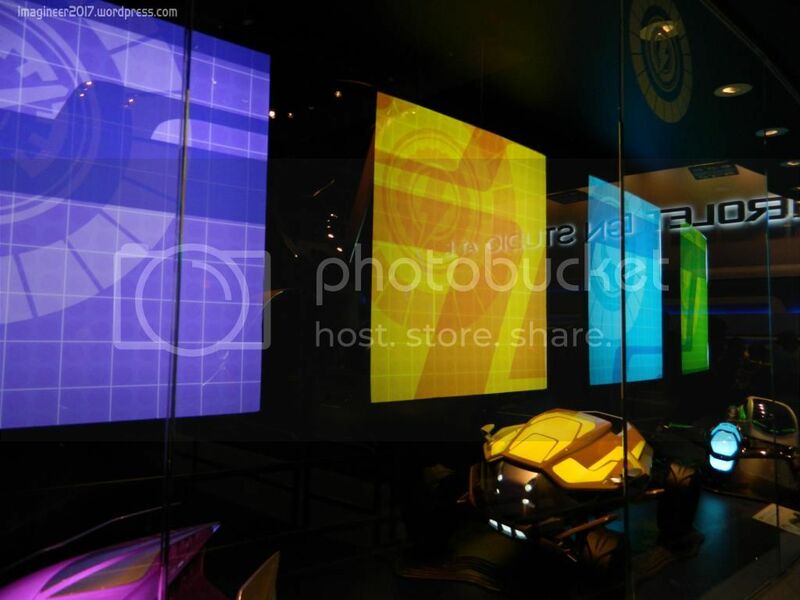 I assume they’ll eventually get the Test Track logo on them, as the videos show). Note that groups of 3 or more will have to share a card and design together. Parties of 1 or 2 can design themselves. Overhead, screens inform us of what we’re about to do. There’s no formal pre-show video, and this video is on an loop without a real set start or stop time. That struck me as odd. This whole section of the design process seems a little uncoordinated. It’s not very clear what you’re supposed to do and go. Only one Cast Member was working this room, making it very confusing (it’s worse for single rider and fastpass, but we’ll get to that later). But once inside the actual Design Studio, things become clearer. You find your station and begin to design. I was very surprised by this! I didn’t expect it would be as fun as it really was! There’s so much to choose from and do. I’m glad there are design stations at the end of the attractions, in case I just want to design a car. The Design Studio itself is massive! There are dozens of stations in each room. 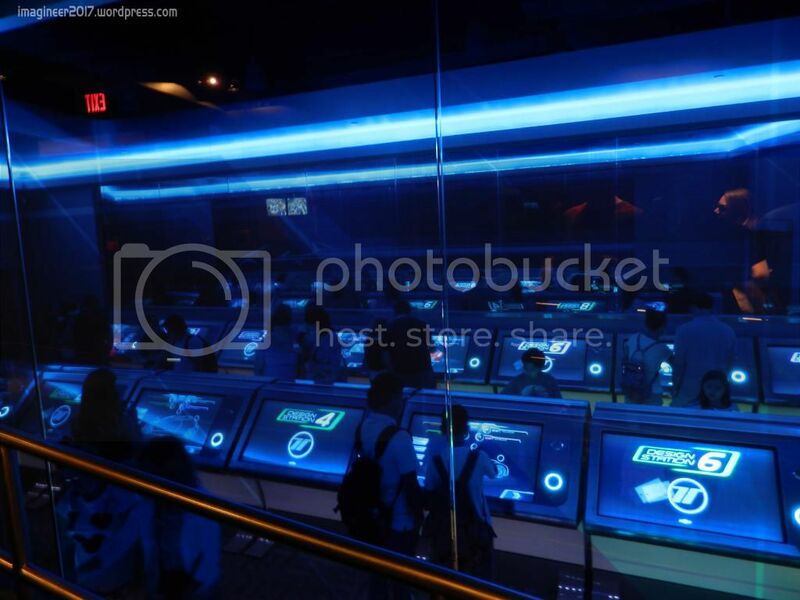 The room is bathed in cool blue lighting similar to that in Space Mountain’s load area. The stylized SimCar design we saw on the construction walls makes an appearance on the walls (which are actually panes of double-sided glass, allowing the Fastpass and Single Rider queue to see in). Once the cars are done and the doors open, guests enter a rather boring room with a ramp up, and continue down a hallway. We pass two Chevrolet Engines (which don’t really fit in), and enter the loading room. This was the most mind-blowing part of the queue for me. Instead of the pre-show doors opening right into the line, the line now enters on the very far end of the room (where the cars return to the building) and continues along a wall where the doors once were. The load area is much of the same, but much cleaner. There are scanners at each load gate, allowing guests to have their cars’ scores computed on-ride. Much like the Stand By, we’re welcomed by the same Miray Concept. Instead of going to the right, we’re shuffled into the left side of the building. A screen ahead informs us that we will be allowed to choose from a selection of pre-created vehicles. The next room contains a few design stations for you to choose a car on. You may either pick one, or skip the design process overall. After that, you’re routed into the next area which overlooks the Design Studios, and then put into the normal queuing corridor. This was a mess. One Cast Member was in charge of both the single rider and fastpass Design Studios (which are in the same room). He was also the only one directing people where to go and helping people at their station. This meant that a group would show up and not know what to do. Some would grab a card, select a car, and then leave their cards behind. Some would block the stations. Because the design studios were also the queuing area, the line would back up into them. This meant that people couldn’t get around to design if they wanted. Even if they did design, they then had nowhere to go. I hope this issue is resolved soon, because it was bedlam I did not enjoy waiting in. Before we get into the ride, I need to mention the queue layout. This new queue can be a little disorienting for those familiar with the original. Like I said earlier, I was mind-blown when we entered the load area from the side. None of the original setup is left. You don’t follow the same path. In fact, I’m pretty sure you follow ones that never existed. There is no way that this is the same building. So the ride. Uh, what can I say? It’s amazing. The use of light, projections, screens, and even lasers are amazing in this attraction. New walls, props, and scene elements make this feel like a new ride. Below is a full description of the attraction and above is a video of the entire ride(sorry about the screaming in the video). Upon entering the ‘SimTrack,” we go up the first hill. New walls with circuitry and other digital-age designs flank both sides of the hill, preventing you from seeing what’s ahead. At the top, thousands of purple points of light create a starfield in the ceiling. At the top of the hill, the first test- Capability begins. We pass through blinking and falling blue lights which are meant to imitate snow (so says a sign on the side). Our vehicle then connects to OnStar and scans the current surface conditions. Following that, our car races off into the mountains, but not before slipping off the clearly marked road! This effect was really neat. It was a great use of the old ABS run, and it hides the slot very well as the room is dark and the ‘road’ is marked. You don’t suspect the slip is coming until it does! Because we’ve gone off the road, our car must now travel through the desert. We speed up and avoid a giant lightning bolt just as it strikes! We see an electronic city in the distance, off to the side of the car. It changes between electronic shimmering and a grid pattern. I like this city. 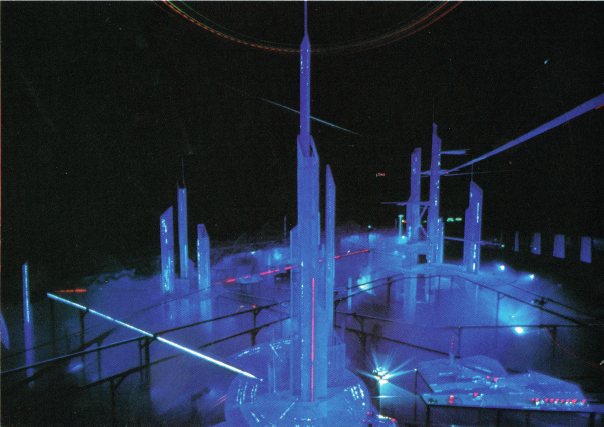 It’s appropriate that it was placed there in the center of the building, as CenterCore-the futuristic city in the finale of World of Motion- was located in that very spot. After that, it’s time to enter the old environmental chambers which have now become the Efficiency test. In the first room, your vehicle is scanned by a few lights from the ceiling, similar to the scanner on Dinosaur at Animal Kingdom. 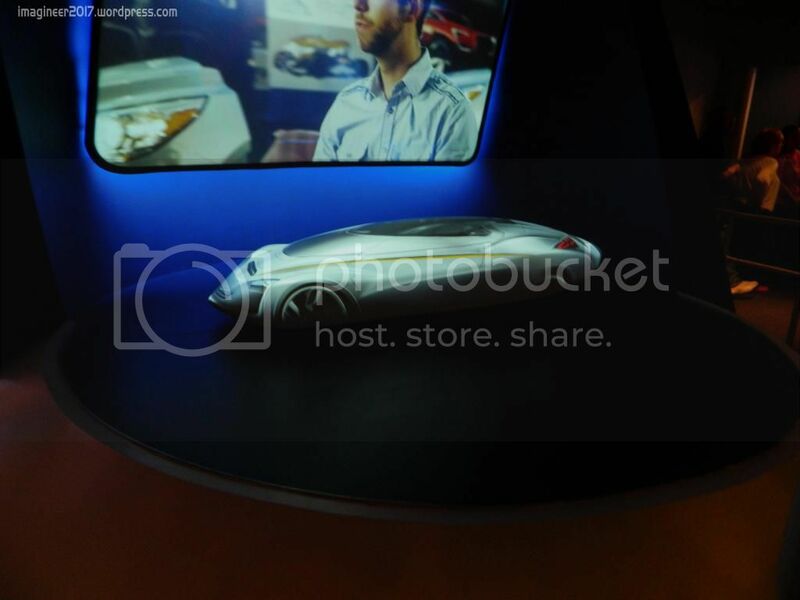 In the second, a mirror shows your car traveling though an wind tunnel with the air steam flowing over your car. The third room features an image of the SimCar that turns red as your car passes, meant to scan the heat levels the car gives off. These three rooms are the biggest let down in the whole attraction. Two of them more than the other. They went from the most detailed and iconic rooms in the entire attraction to the barest, most useless rooms. The wind tunnel effect is very cool, though. The projection technology is very unique, and I like being able to see the cars driving around. But that doesn’t let the other two rooms off the hook. In fact, it makes them look even worse. Once out of the chambers, it’s time for the Responsiveness tests. Laser trees (!!!) activate, and we’re off into the familiar switchback climb. New grid-patterns cover the walls, and neon railings lead the way. New road signs and newly-painted trees grace both sides of the road. Some of the new signs include arrows pointing to the “General Motorway” and “Bowtie Lane” (references to General Motors and the Chevy Bowtie logo), a sign reading “Turn Right to Go Left,” and even a Squirrel Crossing sign! Our car enters the tunnel, which is now covered in grid patterns making it much brighter.The same truck, now outlined with lasers, causes us to quickly swerve out of the way. We now enter the final scene. The wall has the logos from each of the previous tests that light up as the car passes. Just as before, the cars stop before speeding out. But instead of a room full of wrecked cars, three large half circles- the same ones from the rest of the attraction- light up as we speed toward the wall which, just as before, opens on time. I know it isn’t smaller, but this room now feels much shorter and smaller. I suppose that’s because of the forced perspective from the rings around the track. We then speed out of the building and pass by the now relocated camera (it’s on your right side, right after you get out of the building.The exterior loop and re-entry are basically the same. We return to the building to unload and enter the post show. Don’t forget your card- you’ll be using it in the post show games! Now it’s time to compare your design to the SimCar (because the SimCar is like the golden standard or something I guess)! You can check your vehicle’s score and compare it to everyone elses’. Go for the highest score of the day! Make a commercial for your new design! Race on a futuristic racetrack! Pose with the newest Chevrolet vehicles! I though that the post show would be as fun as the Design Process I was close. 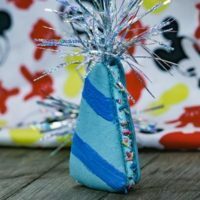 Although this new post show actually relates to the ride you just rode (as compared to the old one full of random GM stuff), some of the activities were a little weak. Some Most were still having issues. Viewing your score is cool. Wanting to get the highest score makes the attraction even more re-rideable (as if it wasn’t enough already! ).The commercial creator isn’t as fun as I anticipated. I was really hoping to make a retro-tastic 80’s ad. Instead, I get to make one with rather poor looking graphics. The racing tables have been problematic since day one, it seems. Many of the tables were having much difficulty reading cards, and when they did read, users were given no indication that it scanned. I did eventually get one to work. It wasn’t very entertaining. In fact, it was rather difficult. I think what struck me the most about the post show was how small and compact it was. There all walls everywhere, especially near the driving tables and the now sized-down shop. One nice thing about the post show is that there are 3 design tables where you can partake in the whole design process The only issue I had with this was that it isn’t clear where you get a card from. There aren’t many Cast Members over there to help. Hopefully, Disney can get someone stationed over there with a cart of cards. This new attraction is better than the original Test Track. It’s a cohesive story and theme. It fits Epcot better than the previous version of the ride in idea, style, color, look, music, value. The lighting effects used in this attraction are amazing and jaw-dropping. But they also worry me. As we’ve seen with Dinosaur, lighting effects and lasers are prone to breaking and not coming back. For an attraction that depends heavily on lighting effects, that could spell disaster. 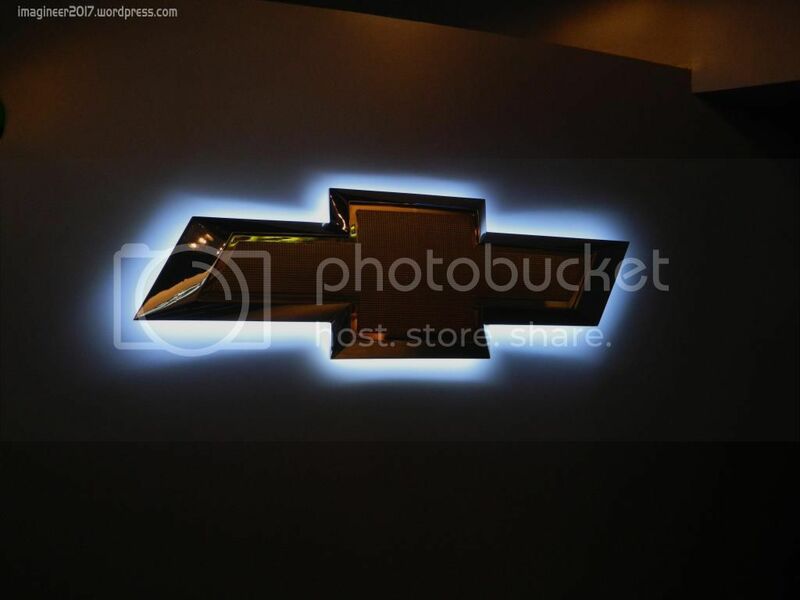 Chevy bowties are everywhere. Everywhere. Like the World of Motion logos. I’ve often discussed the proper amount of attention a sponsor should draw to itself. There is a limit, and there is a minimum. I don’t think any other pavilion features it’s sponsor as prominently as the new Test Track does. The amount of bowties, banners/signs, and references to their company are everywhere. Yet, they are incorporated very neatly; they don’t look forced. That, in my opinion, is okay. I’d also like to devote a whole little section on the wonderful music in this attraction. Unlike most people, I actually liked the old Test Track Melody. It was fun. But the new music is beautiful. The queue has such a deliciously wonderful score. It is, as my mother put it, “Everything is Happy in the Future” kind of music. 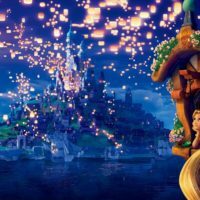 Think TRON: Legacy and Wreck it Ralph- digital influences on a calming orchestral theme. I cannot wait until sourse audio is leaked. And then there’s the on-ride music. Man, that score is amazing. It’s eerie and moody. Very electronic and very soothing. I love it. This new attraction has truly inspired me. The way the designers in the queue talk about how anyone can design really touched me. I feel like I can do anything! And that is the mark of a true Epcot attraction. Next Post: Starbucks Moves Onto Main Street USA at the Market House. Will They Stop Free Refills?